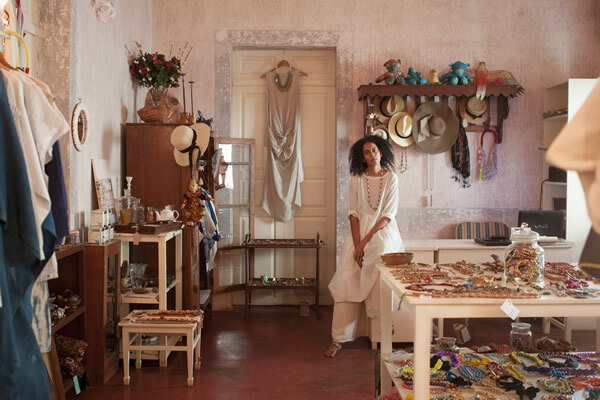 From being a writer and fashion stylist for fashion publications to curating a resortwear shop in Goa, Sacha Mendes’ journey has been interesting, to say the least. As she puts it, it started with a small shop of cushion covers by her mother, two racks of clothes by her friends (SavioJon and Anuj Sharma), and a few jars of orange-peel cookies made by a friendly neighbour, all in the comfort of her father’s ancestral home. “It was never meant to be a store, just a cabinet of curiosities to amuse us.” Today, Sacha’s Shop in Panjim, Goa is an eclectic collection of style goodies that a local can rely upon and a traveller makes it a point to always check out. You would be likely to find deconstructed trousers made into a dress, leather puppets, paper birds, and cross-stitch towels. Sacha’s Shop appears as a pop-up in Mumbai at The Vintage Garden (Patkar Bungalow, Turner Road, Bandra), December 12-14 (11am-7pm) with resortwear for men and women, furniture, jewellery, table linen, art and design books, home décor, floral arrangements and a range of collectibles.